On July 7th, 2012 the first flight of players sat down at the poker tables spread across the Rio, marking the start of a nearly four-month journey to the 2012 WSOP Main Event final table. In all 6,598 players registered over the three starting days, and on July 16th the final nine players were determined when Gaelle Baumann narrowly missed being the first women since Barbara Enright to make the WSOP Main Event final table. Instead of history it was Baumann who would be the final table bubble-girl (another female player, Elisabeth Hille was eliminated in 11th place) while nine men breathed a sigh of relief, having made the final table scheduled for October 28th. 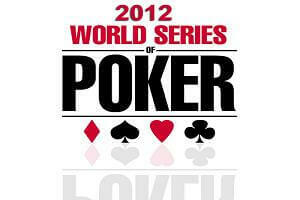 Now the wait is nearly over for the October-Nine (as the players who made the final table of the 2012 World Series of Poker Main Event are called), as they will return to the Rio on Sunday to finish the WSOP Main Event tournament, with over $27 million in total prize-money on the line, as well as the distinction of joining Pius Heinz, Jonathan Duhamel, Joe Hachem, Greg Raymer, Chris Moneymaker, Phil Hellmuth, Johnny Chan, Doyle Brunson and others as a WSOP Main Event champion. After a couple of years of internationally diverse final tables the 2012 WSOP Main Event saw eight US players make the final table, with the sole exception being Andras Koroknai from Hungary. Jesse Sylvia will enter the day with a solid chip-lead, holding over 43 million chips, but the trail pack has three solids players within striking distance as Russell Thomas, Greg Merson, and the aforementioned Koroknai have between 25 million and 30 million chips each. On Sunday the final nine will play down to just three, at which point the final table will once again be paused, with the final three returning on Tuesday to play-down to a winner. When play resumes the remaining nine players will find themselves in Level 34, with blinds at 150,000/300,000 with a 40,000 chip ante. The final table will be shown live, on a 15-minute delay, for the second straight year, first on ESPN 2 and then during primetime on Tuesday on ESPN.